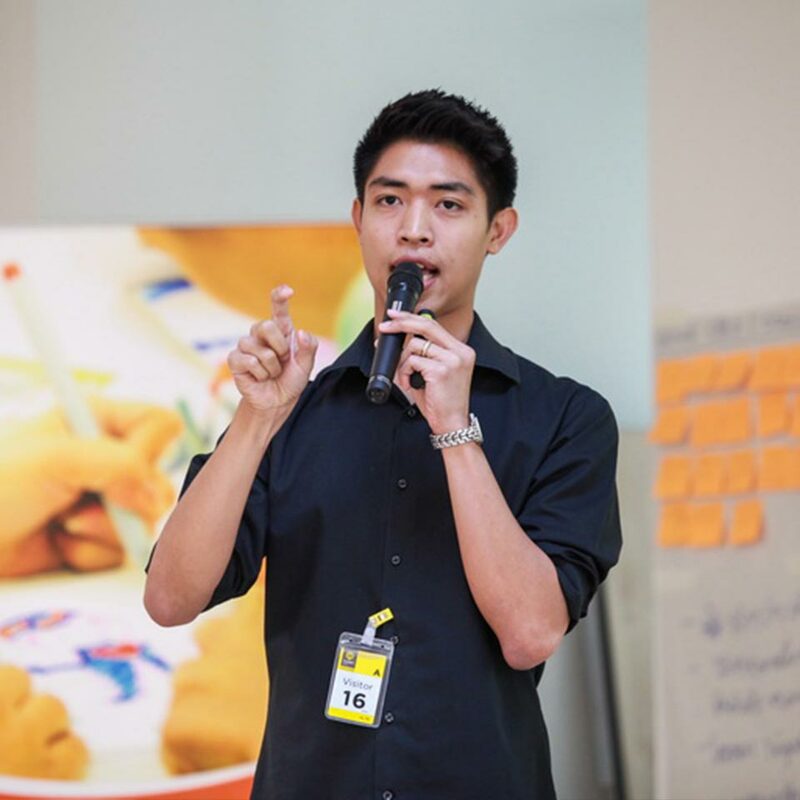 Dr. Triyuth Promsiri (“Tem”) is a designer, serial entrepreneur, innovation trainer and academic lecturer all in one. Dr. Tem has been working with Thinkergy since 2007. Apart from being an innovation trainer & guide, he also contributed his design expertise a key member of the X-IDEA development project team (2008-2011). Since 2008, Dr. Tem has founded and build 5 successful new ventures: Two flourishing restaurants, one juice export business, one design firm, and the Varavela Garden Hall, a premium venue for wedding and creative functions. Dr. Tem graduated with a Ph.D. in Innovation from the College of Management, Mahidol University (CMMU). He also holds Master in Management (New Technology Ventures) from CMMU, and a bachelor in industrial design from Chulalongkorn University. Tem’s belief in, and commitment to, creativity is displayed through his many achievements in various fields of creative work, such as winning several design awards and composing pop songs. In April 2014, Dr. Tem was chosen among 1,000 applicants from all across South-East Asia to join the ASES Summit 2014 at Stanford University. When he is not busy creating, designing or lecturing, Tem enjoys a good game of football — be it on the pitch or on TV.